Indy500 After the Race. Our team (ECR) made the podium! Check out the team's race notes. It's Race Day in Indy! The Hurco car starts from the Pole. Winner of Colts Tickets is a Machinist for Eli Lilly - this is his second "win" in 19 years! Customer Featured in Industry Publication. 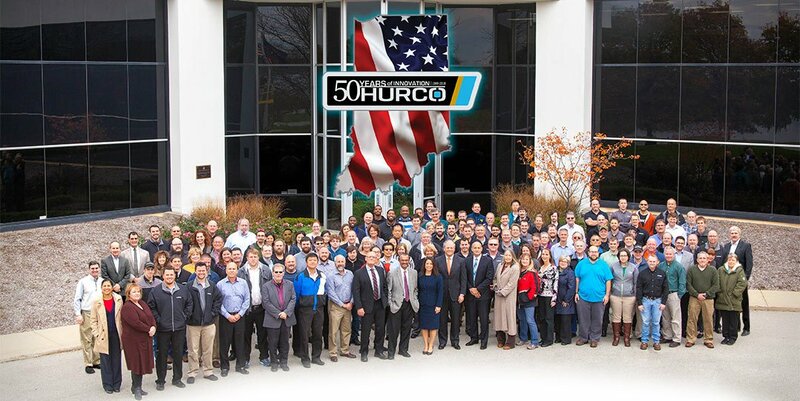 Hurco Helps Connecticut Shop Deal with Skills Gap. Indianapolis is our home and we are psyched for the 100th running of the Indianapolis 500! The back story of our Take the Leap "model"
The winner of Hurco's Colts tickets. Congratulations Sonja! Our CFO Wins Women of Influence Award. Where are they now? The Chipmaker Challenge Finalists. The students at L.C. Webster bring sunshine to Hurco. Inside the Hurco Chipmaker Challenge: How much does a celebrity cost?